We're going to assume you are on your way to getting married if your visiting this page, so firstly a massive congratulations to you both! 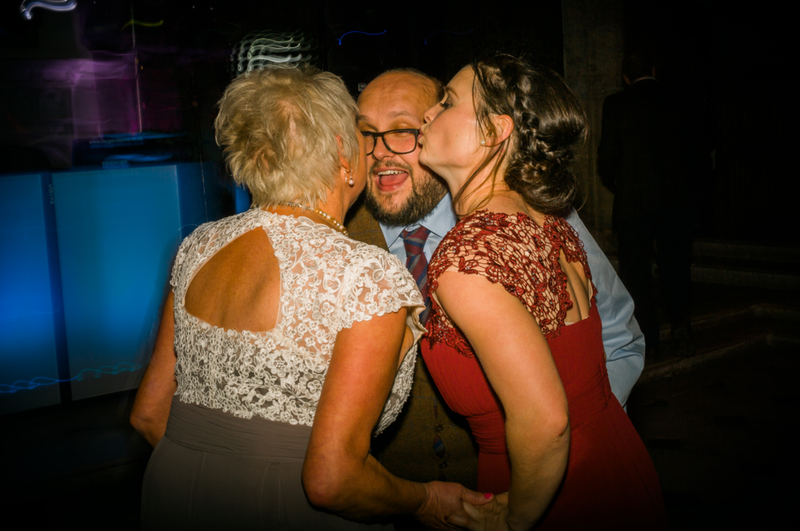 It's not every day you get your own professional DJ, so wouldn't you choose one that works with you and can be trusted to keep your celebrations going on until the early hours, without being cheesy or naff and working with you from the offset to establish your exact requirements and expectations? If every wedding is beautifully unique, then of course so is every wedding reception. With our musical knowledge and instinctive ability to pick that all important 'next' track, combined with our non cheesy, professional presentation style, approachable and friendly DJ's, we like to think we play a small role in being part of your big day. We often get asked if we can supply some playlists from other weddings we have been to, our answer is always the same - every wedding we have DJ'ed at has been different, and most of the time the client has had some (or a lot) of input in what they would like to hear, we simply don't have a standard playlist for weddings, or in fact any parties or events we DJ at. In fact, music wise, we offer you as little or as much input as you like, and we're happy to offer advice on how we can integrate specific genre sets into the evening, appeasing your guests despite the vast and potential age differences. We also offer the use of our clever, online playlist builder to all our clients. There is also a useful feature included, whereby your guests can choose tracks too, a great way to make sure everyone is kept happy throughout. We have years of wedding experience and are always happy to discuss in more detail your expectations, and can offer plenty of advice too! So if this sounds like the kind of DJ you would like at your party, or wedding evening please contact me personally to discuss your requirements. Remember it is YOUR day and the overall flavour of your music should be a reflection of yourselves. However, to carry your guests along the tidal wave of fun, their choices should also be taken into consideration. What music styles do you and your guests love? Selecting songs of high quality and popularity is the most important factor when selecting music. I offer a fantastic online planner for you and your guests to make your choices, and of course I am available to guide you through your music selection process from the start, if required. On the evening itself I love to encourage requests, so I can also provide your guests with my top 200 tracks if you’d like me to. All of this can be discussed at a pre-wedding meeting or via a video call. I’m happy to listen to all of your wishes and work with you to make your wedding exceptional, but if you’re stuck for ideas I’m always here for help and advice. the pinnacle of your day.